Gotcha! 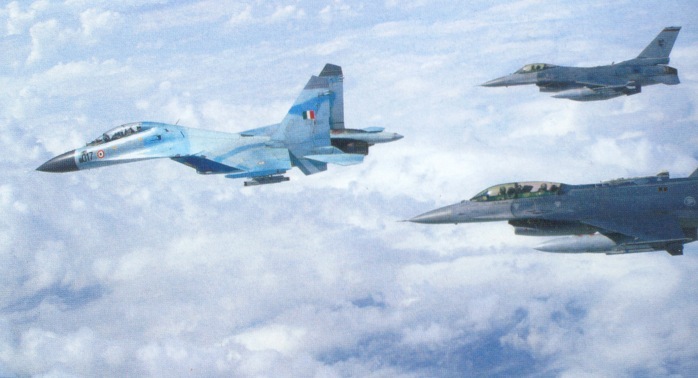 USAF F-16 caught in the Su-30's sights. Ex Cope India 2005. 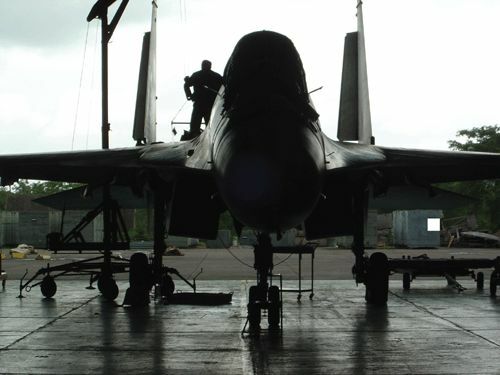 Su-30MKI being assembed at HAL. HAL has a license to produce 140 Su-30s. Ex Indradhanush 2007. 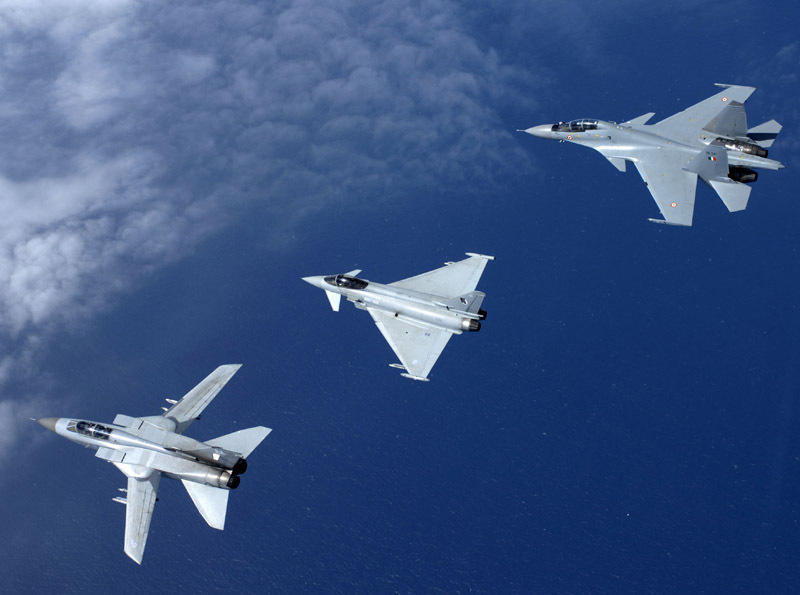 In formation with RAF Tornado and Eurofighters. Ex Cope India 2005. 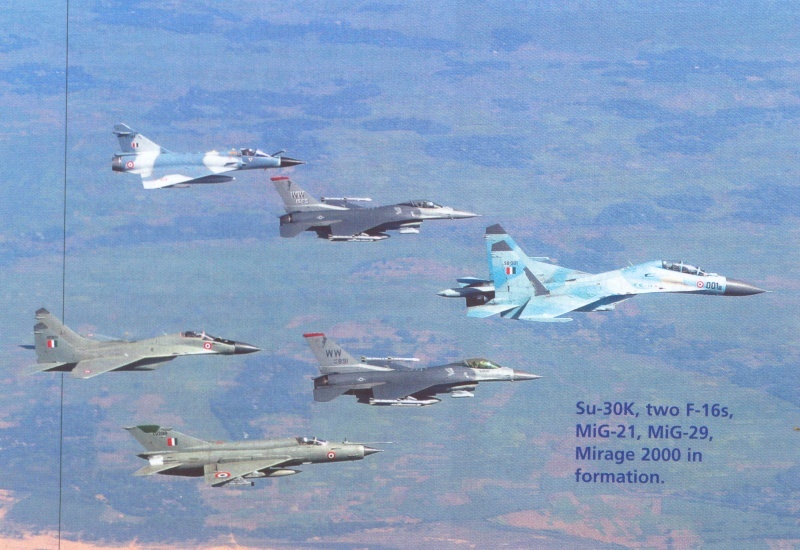 Su-30, F-16, MiG-21, MiG-29 and Mirage-2000. Ex Cope India 2005. 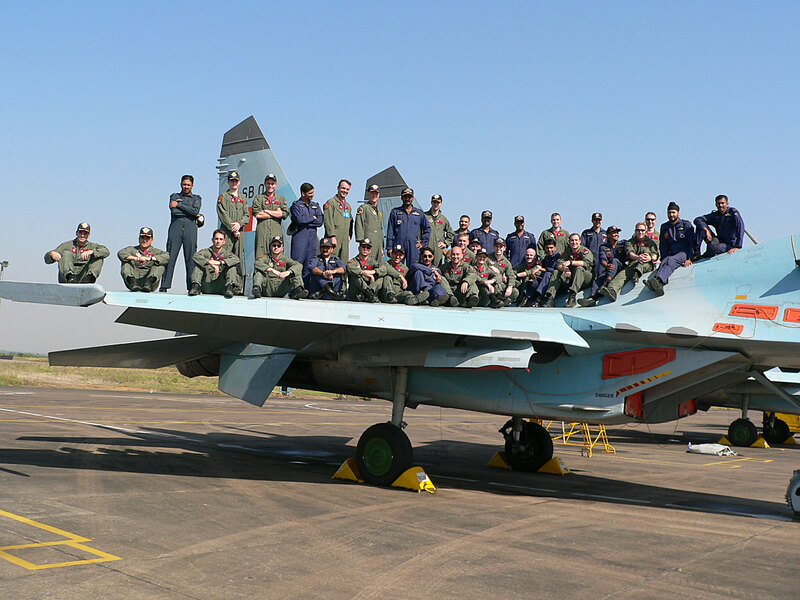 USAF and IAF personnel pose on the wing of s Su-30. This should give an idea of the size of the aircraft!  Ex SINDEX 2004. 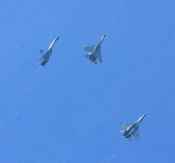 Formating with RSAF with F-16. 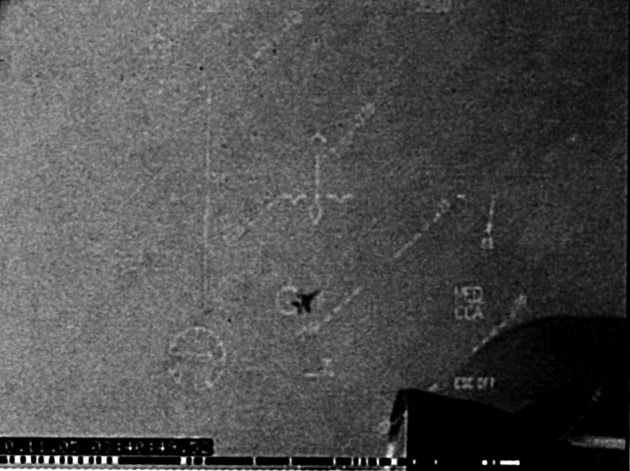 Note the Israeli EL/L-8222 ECM pod. 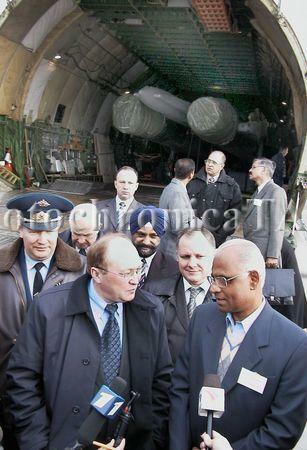 Air Chief Marshal Krishnaswamy in Russia where new build Su-30MKIs have been loaded onto An-124 lifters. 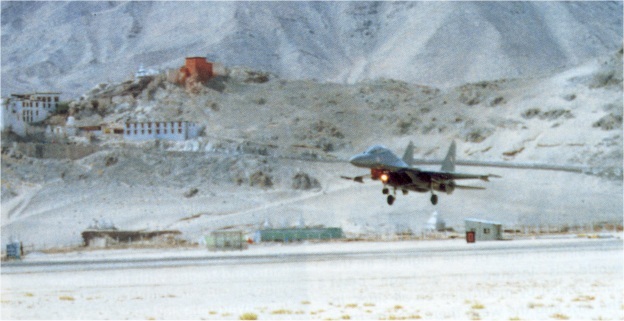 MKI lands at Thoise, which is one of India's highest altitude airports. 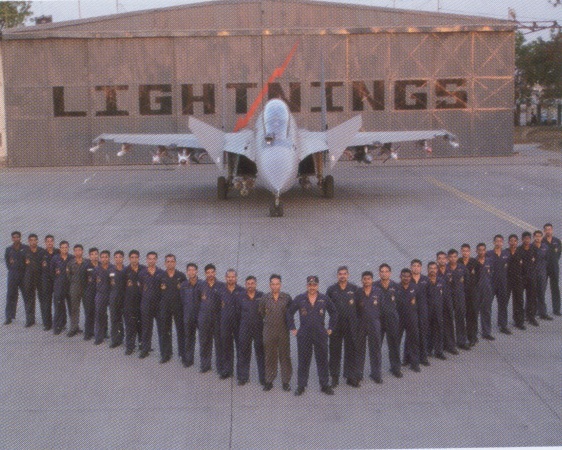 20 Sqn Lightnings - the first to equip with Su-30MKI. 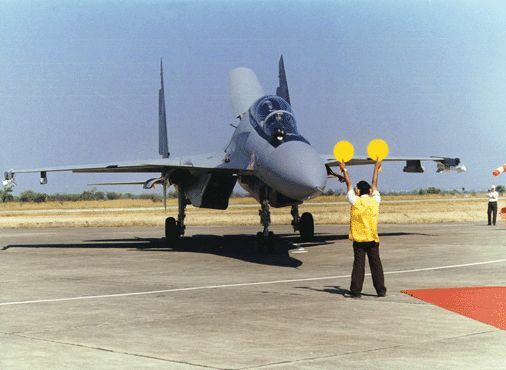 Su-30MKI [SB025] during the No.20 Sqn's raising at Lohegaon AFS. Whoa! 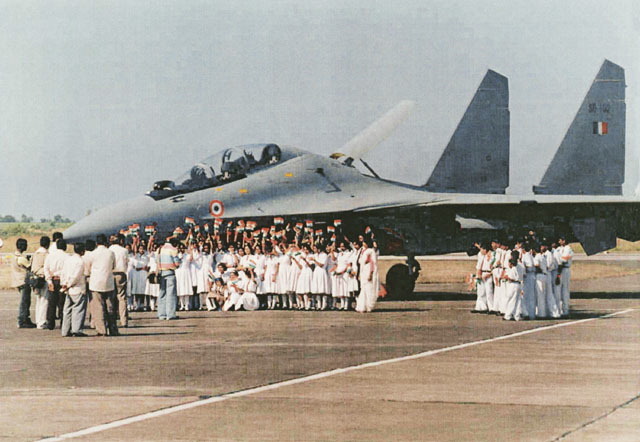 MKI unloads sixteen OFAB-100s in the IAF fire power display, Ex Vayu Shakti 2004. 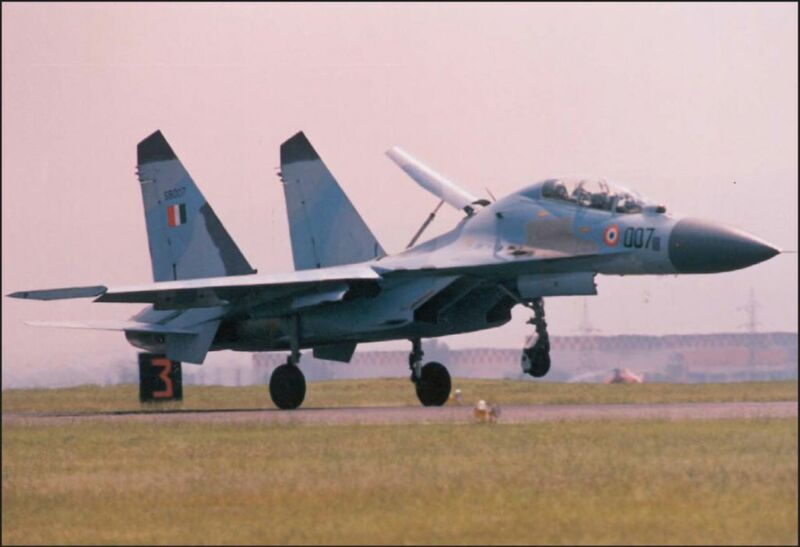 Su-30MKI taxies in after landing. Note R-73Es on the wingtips. Wonderful photo of a HAL assembled MKI. 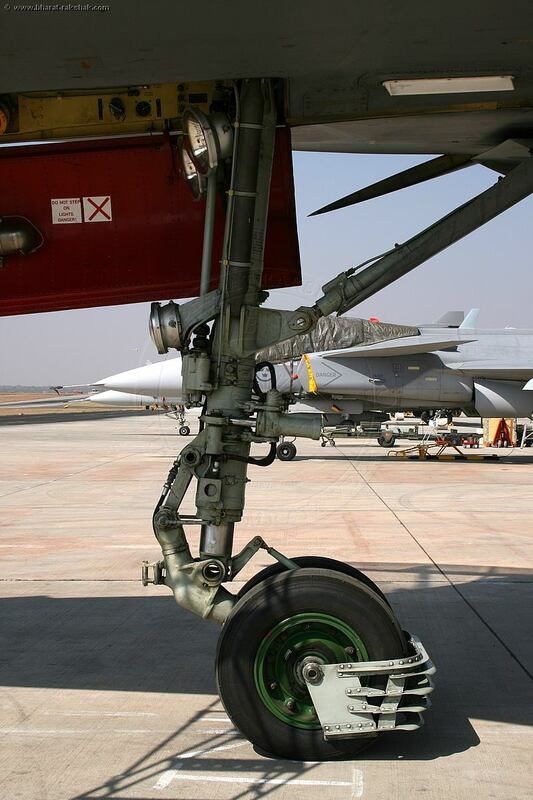 Note how the AL-31FP nozzles of the MKI come to rest when the engines are off. 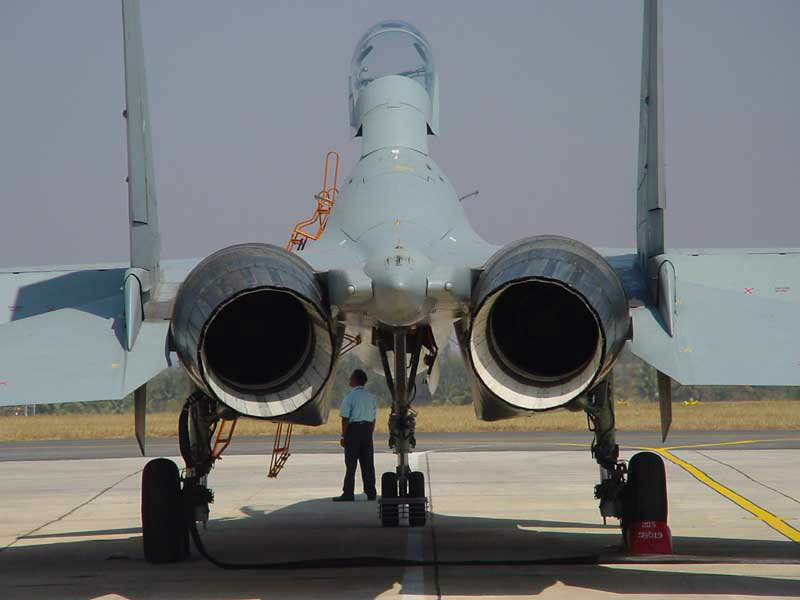 The unique arrangement of the engine and nozzles means that the aircraft can vector thrust in three planes. Aeroindia 2003. 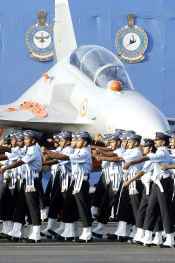 Parade on the occasion of Air Force Day 2003 @ Palam AFS, New Delhi. 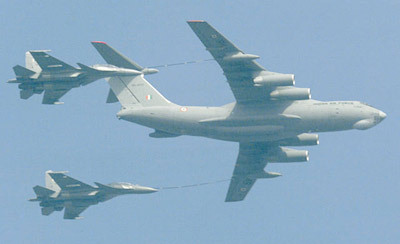 IL-78MKI refuels two Su-30MKI @ Republic Day Parade, New Delhi 26-Jan-2004. The Il-78 is equipped with three IFR pods, but seldom more than two are refueled at a time. Children love this plane! 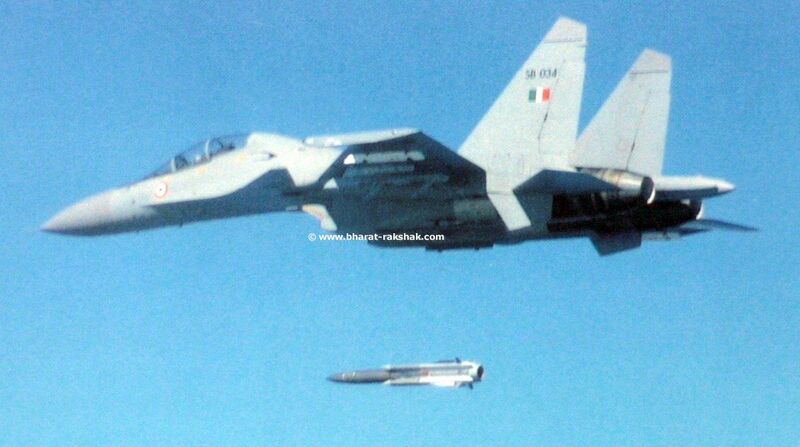 This Su-30MKI [SB102] is one of the first two aircraft assembled by HAL from knocked down kits. 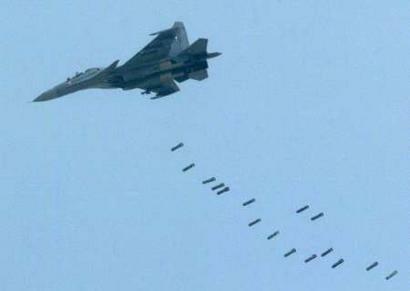 Su-30MKI in formation with a 24 Sqn Su-30K. 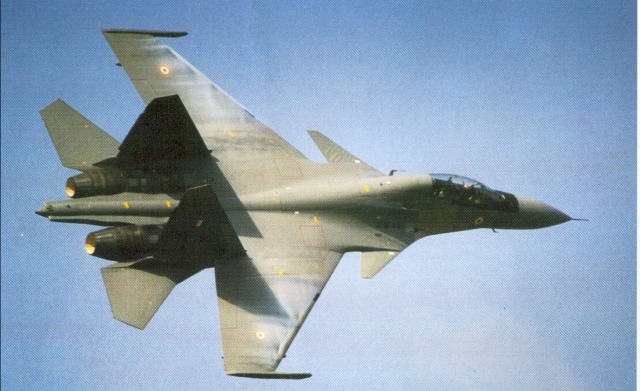 Note contrasting camo scheme. 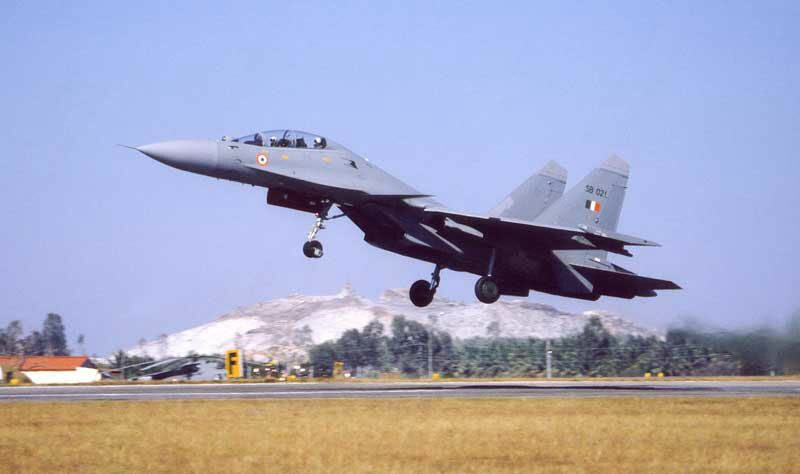 Su-30MK [SB007] lands on the runway. Note raised air break. 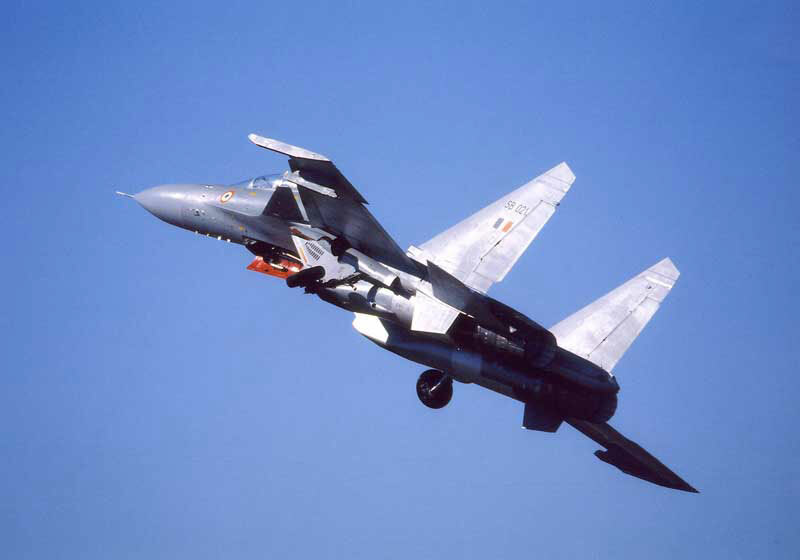 Su-30K flypast @ Republic Day Parade, New Delhi 26-Jan-2003. The two aircraft on the sides split, while the leader performs the familiar "Vertical Charlie" maneuver and dissappers into the blue yonder.